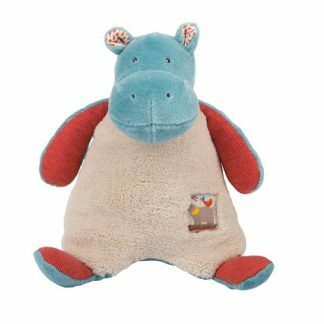 This lovely wooden blue hippo pull along has dark blue felt ears, rosy pink cheeks and a little red bird sitting on his back. Perfect to encourage those first few steps. 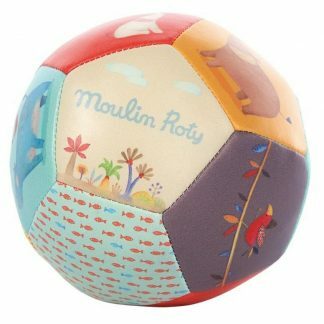 This Moulin Roty hippo is approx size 15 cm x 18 x 10 cm. 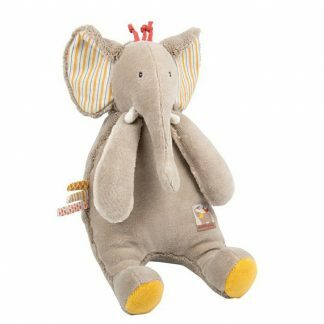 Suitable from 10 months. A lovely wooden pull along hippo.